American River: Tributaries follows three immigrant families struggling to pursue their dreams during the turbulent 1960’s. What served as your inspiration while writing this book? My love of Northern California, the place where I grew up, and the wonderful history of the area. I was also inspired by my love of art and music and my passion for social justice issues. Immigration and ethnic diversity are the cornerstones of the story. This book has so many fascinating characters that are well developed. What were some themes you wanted to capture in your characters? Basically, the story focuses on the creative search for meaning, knowledge, compassion and understanding in a tumultuous world filled with prejudice, obstacles, jealousy, and betrayal. As my characters encounter these obstacles, they discover their own strengths and weaknesses and grow beyond their self-centered ambitions. I thoroughly enjoyed the historical backdrop to the story and how well researched it was. What historical milestones were important for you to highlight in this book? The Gold Rush had a tremendous impact on the population and culture of California. Before the Gold Rush, the population consisted mainly of Native Californians and Californios (settlers and landowners of mixed Spanish, Native Californian, and African descent). But gold fever brought people to California from all over the country and the world. The Anglo Americans (of English, Irish, or Scots descent), other Europeans (including Italians, Russians, Greeks and East Europeans), Chinese, Japanese, African Americans, and many more who came and stayed. This changed the makeup of the state’s population making it one of the most ethnically diverse in the country. So, this cultural diversity sets the scene for later entanglements. Most of the story takes place in the 1960s, that decade that Time Magazine recently termed “The decade that changed a generation.” So, I take the reader down memory lane as my characters encounter the major issues of the time: immigration, racial prejudice, migrant workers, gay rights, women’s rights and the Vietnam War. This is book one in the American River Trilogy. What can readers expect in book two, American River: Currents? 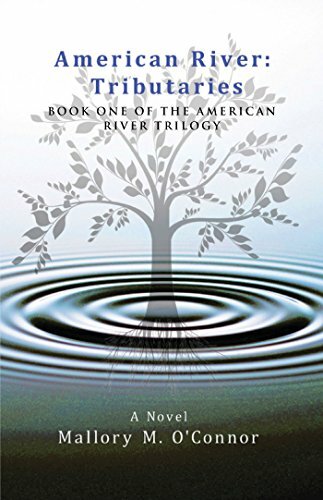 In Book Two, American River: Currents, a cavalcade of disasters—both personal and public—threatens to overwhelm the scattered members of the McPhalan, Ashida, and Morales clans. Alliances fray, relationships dissolve, divisive secrets are revealed, and promises are broken as the members of three California families struggle to salvage their shattered dreams. The story follows the character’s journeys to places as distant as Cleveland, Ohio, Venice, Italy, and Kyoto, Japan. From the concert halls of Europe to the artist’s lofts of Manhattan, American River: Currents is filled with passionate and resolute characters who refuse to let go of their unique visions of success—even as life’s tumultuous currents threaten to sweep them all away. In the mid-1800s, three immigrant familiesIrish, Japanese, and Mexicansettle along the American River in Northern California. A century later, only one family remains. Owen McPhalans Mockingbird Valley Ranch is still a thriving family business in 1959. But when his wife, Marian, leaves Mockingbird to follow her dream of becoming a successful artist, she ignites a firestorm that impacts the descendants of all three families. As artists, musicians, writers, and politicians inherit their immigrant parents hopes, they are torn apart by ambition, prejudice, and deception while struggling through the turbulent 1960s. From the concert halls of Europe to Kyotos ancient avenues, and Manhattans artists lofts to San Franciscos North Beach, they each learn the price they must pay in order to realize their dreams. But just as the river is drawn to the sea, they eventually find themselves pulled back to the place that forged the original link between their destiniesa place called Mockingbird. American River: Tributaries follows three California families as the descendants of Irish, Japanese, and Mexican immigrants embark on unique journeys to pursue their dreams amid an unsettled 1960s world.